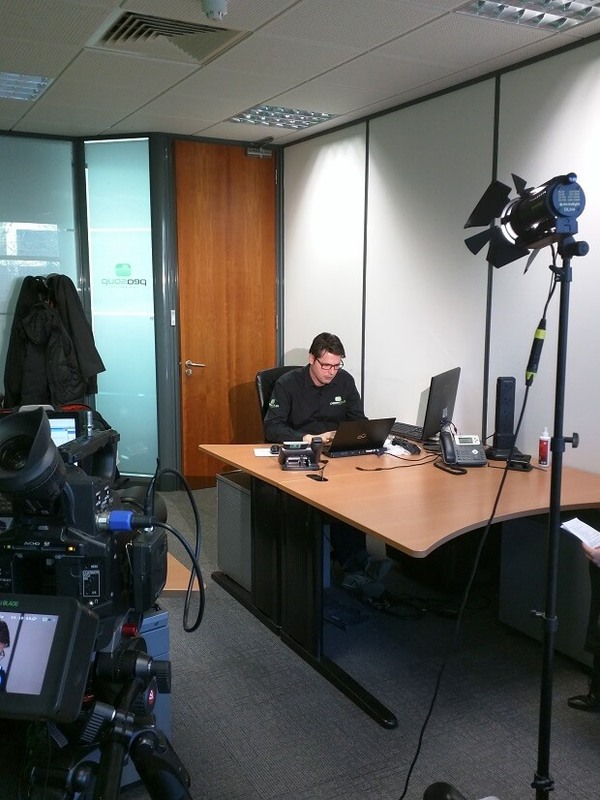 Q: Martin, can you tell us more about the company and your core competence? A: PeaSoup are a Cloud Services Company, focused on delivering Infrastructure, Disaster Recovery and Backup as a service. 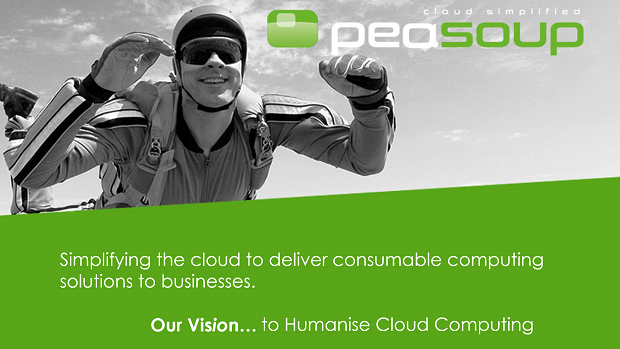 A “born in the cloud” organisation, PeaSoup was formed in 2014 following the emergence of hyper-converged virtualisation technology. 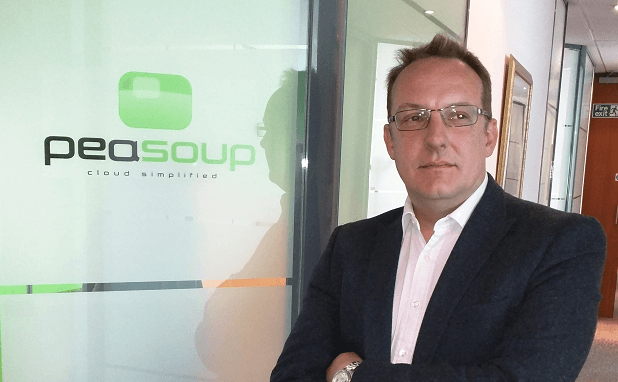 By recognising the reliability, flexibility and the performance enhancements when applied to a Cloud infrastructure service, PeaSoup worked with VMware technology to deliver Europe’s 1st hyper-converged cloud service and was the fifth to do so on a world stage, delivering a true software defined datacentre. The PeaSoup cloud, built on Fujitsu hardware with VMware cloud technology is housed in a tier 3 datacentre in London, UK and we deliver to a growing number of organisations, primarily across the UK. A: The focus is to keep things simple, the less complexity there is the architecture the lower the risk of component failure. The initial goal was to design a Cloud that is built to sustain failure and minimise the costs of support. This premise of simplicity has flowed through the pricing structure where every item is predictable on the understanding that businesses like to know what they are buying and how much it will cost so they can budget correctly. The technology allows us to undertake all upgrades without impact to any running service so downtime in our Infrastructure as a Service for maintenance windows has become a thing of the past. Performance degradation from storage rebuilds has also been removed so we can effectively remove 99% of the SLA small print that other companies used to protect themselves. Our key services appear similar to others but each has a 10% improvement on traditional cloud providers. We deliver IaaS, infrastructure as a Service. A true software defined datacentre incorporating all the features expected from a datacentre where our customers are in full control of their servers, networks, firewalls, VPNs, load balancers, the list goes on. PeaSoup are always here to assist but are not an obstacle to making any changes that could be extremely time sensitive. We provide the tools and the environment for our customers to be delighted by the experience. The DRaaS, Disaster Recovery as a Service, utilises the virtual datacentre from the IaaS service and enables a customer to have a Cloud environment that is tailored to their needs with all the networking in place, firewall rules ready when needed, but otherwise left empty to avoid any unnecessary monthly charges. PeaSoup continuously replicate the entire, or subset of the live environment so that all changes are captured in near real-time and stored in a journal on the PeaSoup Cloud. Generally, we see customers replicating their systems a few seconds behind the live operations and we provide a self service portal that enables a single button operation for either a nondisruptive test or full failover to the cloud in event of a disaster. On failover, there is a complete rollback position to any point in time within the journal to protect against contaminated data. On invocation the virtual datacentre is then populated with the live servers. We see that the continuous data protection, coupled with the rollback facility and the reduced monthly cost to be a compelling answer to the DR challenges faced by many organisations. Our final core service is back up. PeaSoup are a Veeam cloud partner as the simplicity of the Veeam Cloud Connect solution, with our easy pricing model and automation levels, enables customers to trial or operate our service within minutes and provides the reassurance of an off-site air gapped copy of their data, under their own terms and control. Q: Is private cloud the only way to guarantee security? A: Private cloud, in its literal definition, is precisely what PeaSoup deliver. We operate a Cloud, it has all the characteristics of a Cloud service providing the elasticity, flexibility and delegated controls as defined by NIST. Termed as a public cloud infrastructure we use the economies of scale to provide the flexibility and reduced costs, yet each virtual datacentre for each customer is private. It contains its own firewall, own networking and own servers and it’s own storage, all defined and controlled at a software level ensuring complete segmentation. This not only provides segmentation from other customers but also protection from PeaSoup staff, who have no visibility of what data is stored and have no access. The term private cloud, is best defined as dedicated hardware yet still shares the same network infrastructure at a physical level and still replies on software security controls, there is little difference to the security apart from this is now restricted to the hardware limitations and therefore carries the additional costs of underutilised hardware and breaks the elasticity of a Cloud service. Historically Private Clouds have made sense for Enterprise Organisations where the scale of the operation has seen departmental benefits of a Cloud service on private infrastructure. In more recent times PeaSoup have seen Enterprise organisation move the to hyperscale cloud providers for the benefits of flexibility and cost savings. There has been growth in private cloud solutions in SMB size organisation, led in part by Managed Service Providers (MSPs) who see private cloud as a way to maintain their traditional business model, selling hardware and services. This is just the latest in the form of cloud washing and is extremely frustrating as they often tout security as the prime reason without any substance or argument as security is always subjective with the threat being the unknown. Q: What makes PeaSoup Cloud ideal for SaaS providers? A: The reputation of SaaS providers depends heavily on the choice of hosting provider. A low end solution will not provide the resilience but will maximise the margins until something goes wrong through the lack of resilience in the service provision. Whilst they can talk to the provider the risk of failure is high comparatively. A low cost, hyper cloud provider will provide the scale for growth until something goes wrong and then they have no voice, no information on the reasons for the issues and no control of the process to provide any information to their customer. Also, there is a lack of control or prediction of the costs, which can vary wildly from month to month. Reputation in SaaS is critical given the nature of the customer payments and contracts. A predictable cost base is preferable, arguably critical for any organisation, but especially in a organisation reliant on monthly based revenue. There is also an advantage working with a partner where you can speak to them about your needs and understand they are invested in your organisation. PeaSoup have a low risk cloud by design as described earlier, eliminating many if the inherent risks that lead to outage. This, in combination with understandable cost models that are commercially competitive with the hyper scale providers but also incorporating a personal account manager, makes PeaSoup perfect for SaaS providers. A: The future is very exciting, as we started PeaSoup with innovation we are continuing in the same manner. We are due to open our second datacentre with a PeaSoup cloud to provide complete peace of mind with full second site resilience. We are staying with the same hyper-converged architecture and will deploy the second cloud in a completely submerged computing environment. Working in conjunction with a company called CoolDC, the new datacentre, being built in the heart of Lincoln, is due to be launched early next year. This unique build will have water cooled racks but also a number of immersed computing units, in which we will house the entire PeaSoup cloud system in mineral oil. For PeaSoup this is a great opportunity to deliver an extremely cost efficient service with greatly reduced power costs and more reliable hardware. There are many more advantages which will be published over the coming months as we complete our initial testing phase.